A West-based company is forging ahead with its expansion plans after braving the BBC’s Dragons’ Den and rejecting one of the biggest investments the programme has ever seen. Serial entrepreneur and multi-millionaire James Caan was so impressed with Planit Product’s range of household innovations he offered to plough £200,000 of his own cash into the company. But Planit Product’s cashflow hasn’t always been so healthy which is why business partners Guy Unwin and Caroline Kavanagh turned to Bristol-based Clifton Asset Management Plc for help. Planit Products invent and manufacture innovative household goods such as the popular “Toastabag” which can be found on sale in stores including retail giants Tesco, Morrisons, Sainsbury’s and Aldi. But, despite its success, the banks would not lend Planit Products the cash it needed to take the business to the next level. “It was an incredibly frustrating time,” said Caroline. Then the pair heard about Clifton Asset Management Plc, the UK’s leading alternative to business owners’ strategic finance, who showed them how they could access and use their own assets, for instance money sitting in their pension funds. While most of the wide-eyed hopefuls who enter the Den in search of investment are sent packing after the ritual humiliation of having their business plans picked apart, Planit Product actually had two of the Dragons fighting over them. Planit Products invent and manufacture innovative household goods such as the ‘Toastabag’ which can be found on sale in high street supermarkets. But, despite its success, the banks would not lend Planit Products the cash needed to take the business to the next level and break into the US and Asian markets. 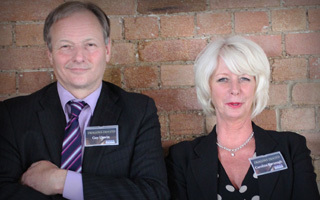 Caroline and Guy appeared on BBC’s Dragons’ Den, provoking a bidding war as Duncan Bannatyne and James Caan both offered investments in return for a stake in the company. They initially accepted James Caan’s offer, but when that didn’t come to fruition they started looking round for alternative funding sources. They heard about pensionledfunding.com and decided to use money from their combined pensions and the intellectual property in Planit Products to help build their business. Planit Products goods can now be found in stores across the UK and beyond. Guy and Caroline have used an array of different financing to build the business in collaboration with pension-led funding, including: crowd funding, grant funding, export finance, invoice trading and short-term stock finance.